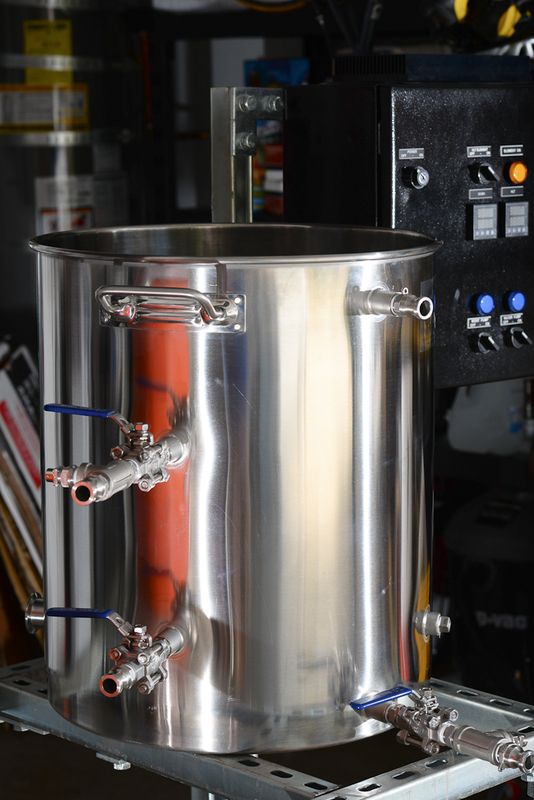 When I decided to upgrade my brewery I knew I was going to be replacing my boil kettle and hot liquor tank. 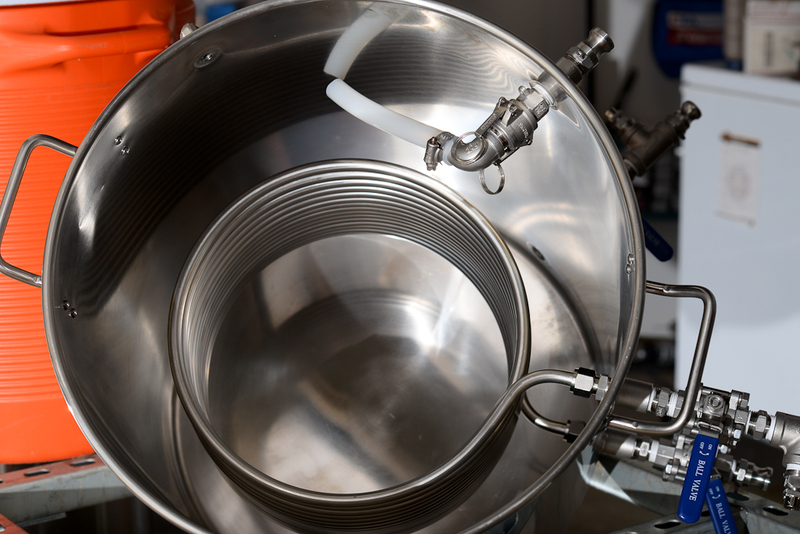 The Electric Brewery uses all Blichman kettles and weldless fittings. 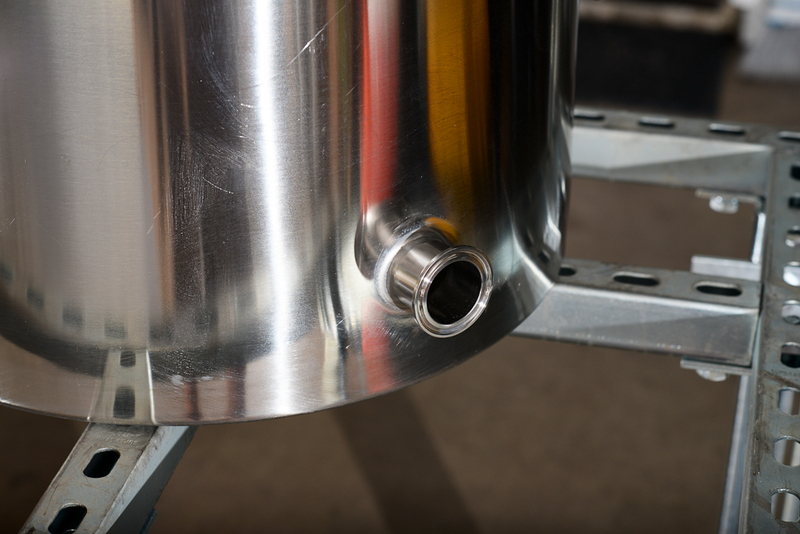 I had initially considered going this route, but then I discovered Spike Brewing and found that for the price of a Blichmann 20 gallon kettle that I would then have to add weldless fittings to, I could get a 20 gallon kettle with all welded fittings including a 1.5" tri-clover fitting for the heating element and I was sold. I procured a 50' x 1/2" stainless steel coil (12.5" diameter) and all necessary plumbing fittings from Stainless Brewing.